It is no wonder that Ernest & Celestine received standing ovations at Cannes and Toronto in 2012! This animated feature is a delightfully warm and fuzzy story directed by Stéphane Aubier, Vincent Patar, and Benjamin Renner. Ernest, the bear, is brought to life by the vocal talents of English dub cast Forest Whitaker, and Celestine, the mouse by MacKenzie Foy. Other vocal talents are Paul Giammatti as the Rat King, William H. Macy, as the Head Dentist, Lauren Bacall as The Grey One, and Jeffrey Wright as the Grizzly Judge. Celestine is growing up in an orphanage listening to stories told by a very intimidating elder mouse about a big bad bear who lives above ground and has a strong appetite for young and innocent mice. The theme of friendship is front and center. Aubier & Co. prompt us to ask the questions: Do we decide to believe the stories we are told about people who are different, and, if not, can we still have a place among relatives and friends or even a place called home? These questions bring enjoyment to the story. 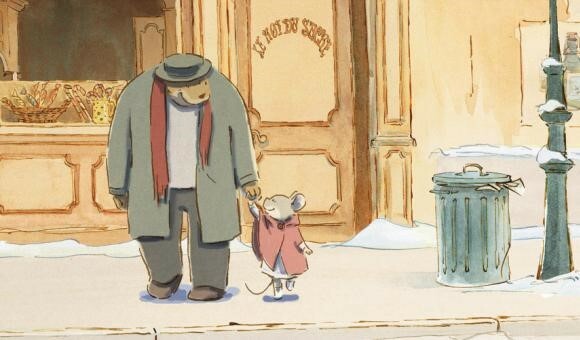 Along the way, Ernest and Celestine challenge societal prescriptions they are expected to fulfill. Celestine is more interested in the arts rather than becoming a dentist, and Ernest has desires to become an actor and musician. 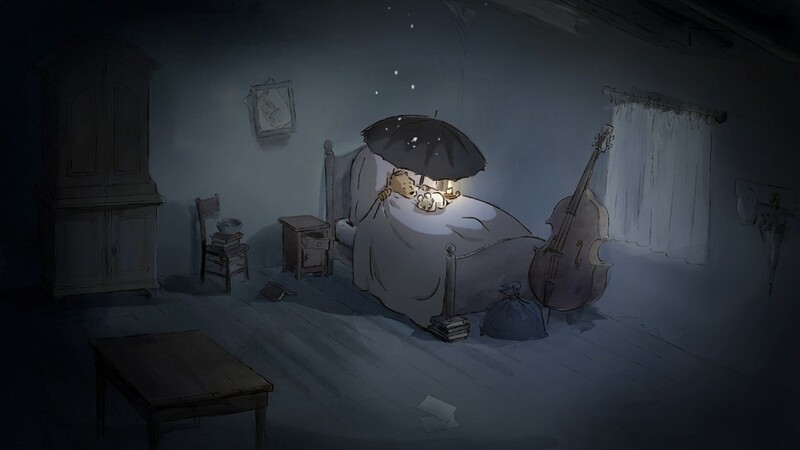 When Celestine saves herself from the jaws of a hungry Ernest and leads him to a cellar full of food, bear and mouse come to know each other, and their companionship overcomes the tales each one has heard. The magic and charm intertwined with devotion through friendship are refreshing. You come away from this movie feeling alright about taking a chance on someone you were told was different. 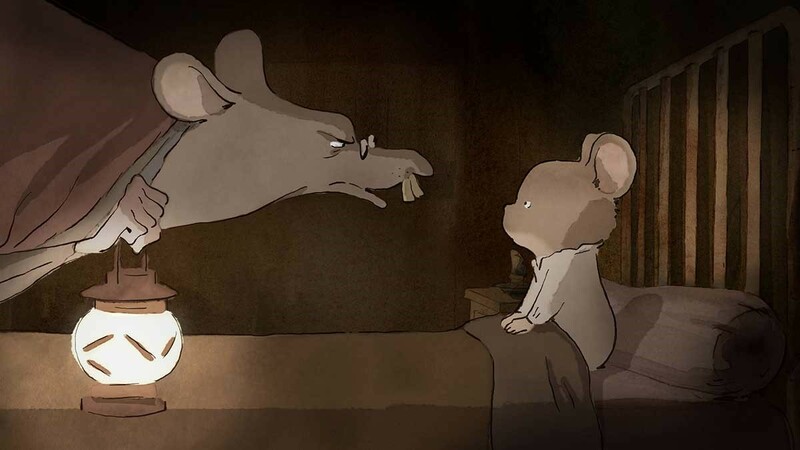 Ernest and Celestine plays through March 8 at the Mary Riepma Ross Media Arts Center in Lincoln.